These no sew felt sunflowers are super easy to make and oh so cute! 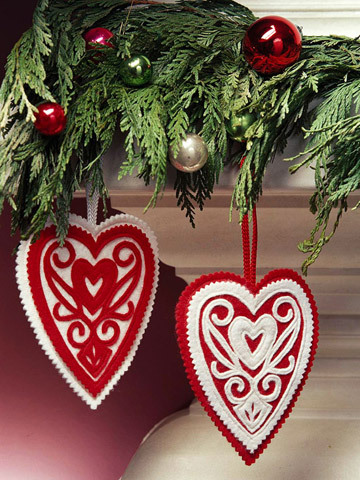 Adding a magnet to the back transforms them into versatile decorative elements. The addition of a second magnet means you can easily add flowers to lampshades, curtains or even clothing with no damage or commitment. Sunflower Template at end of post. Cut three sunflower shapes per flower. Flip one so it points in the opposite direction as the other two. Set one of the matching two aside. Cut three sunflower shapes per flower. 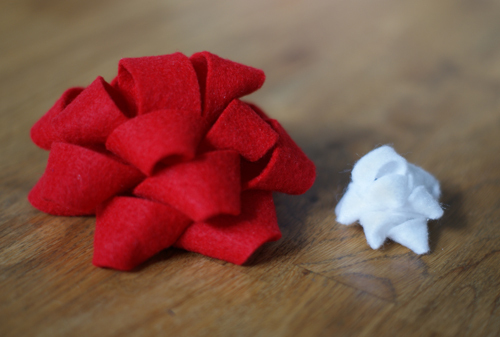 Add a small amount of felt glue to the base of each petal of remaining two flower shapes. Pinch petals together and use a clothes pin to hold petals together. Repeat with remaining petals on the remaining piece. This can get tricky so try pointing your pins in varying directions. Repeat with remaining petals on the remaining piece. This can get tricky so try pointing your pins in varying directions, over or under the others. Unpin after an hour and use your fingers to open the petals. Unpin after an hour and use your fingers to fold open the petals. Don’t panic they will look a little messy. Glue the sunflower face to the base. These petals should go opposite directions. These petals should go opposite directions. Place a thin layer of felt glue into the center of the remaining sunflower face. Place a thin layer of felt glue into the center of the remaining sunflower face spreading it thinly will help it to dry more quickly. Glue sequins to center. Set aside to dry for at least 10-15 minutes. Glue front to the rest of the flower. Glue sequined front to the rest of the flower. 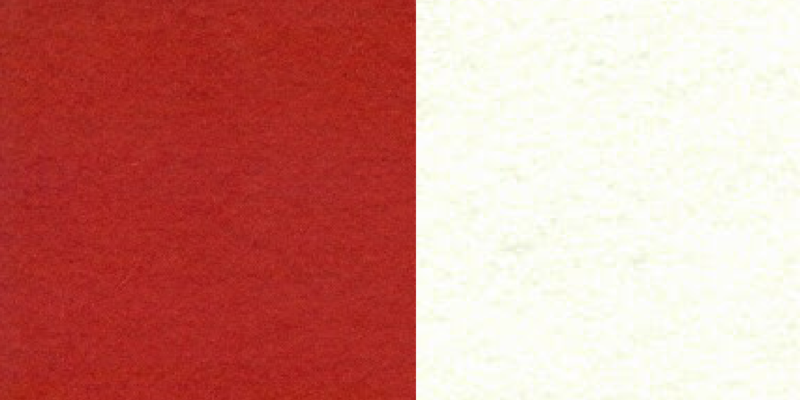 Allow to dry. Glue magnet to back and allow to dry overnight. You can also use hot glue for instant satisfaction. Glue magnet to back and allow to dry overnight. You can also use hot glue for instant satisfaction. 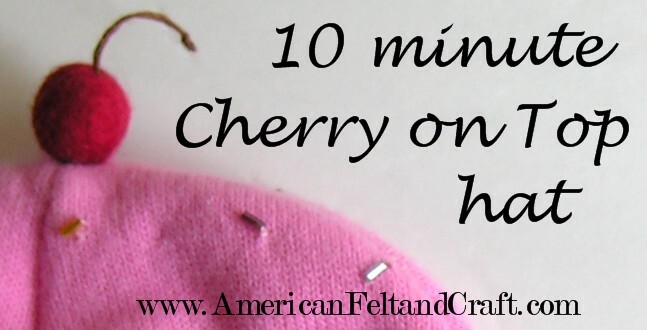 The super easy 10 minute Cherry on Top Cupcake Hat! When I spotted my daughters pink knit hat the other day I knew I had to stop everything and fancify it. 10 minutes later I had this awesome cupcake hat. The knit hat used was double thickness so I was careful to only sew through one of the thicknesses. 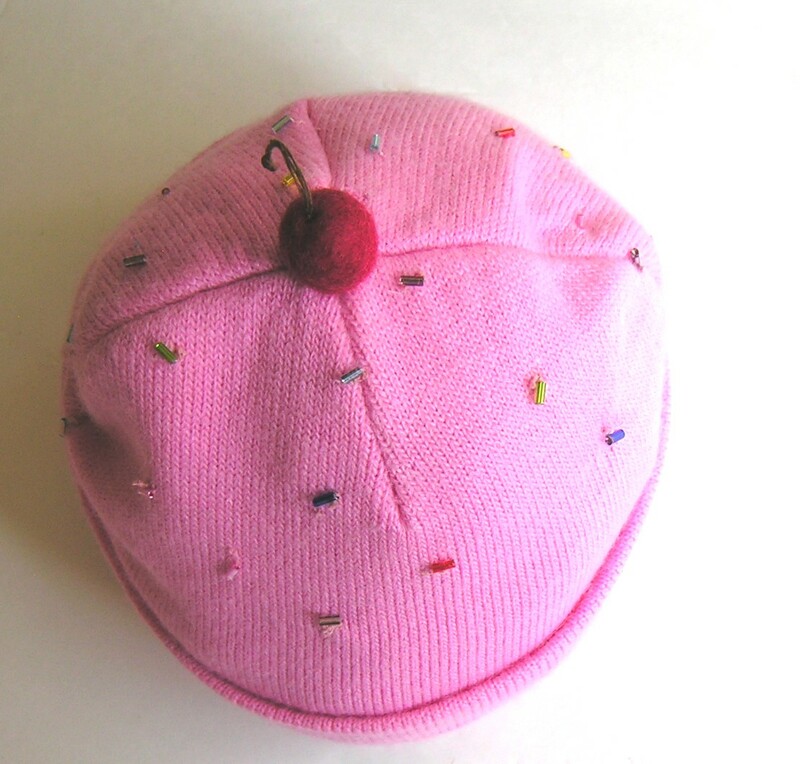 The trick here is to sew as few knit stitches as possible so the beads won’t be stretched with the hat. Begin by threading your beading needle and sewing a tacking stitch to 2 or 3 of the knit stitches, you can hide the knot by positioning the bead over it . Tack down the opposite side. Since the second layer of knit takes most of the stretching the beads stay put without affecting the fit. Repeat until your happy with the look. 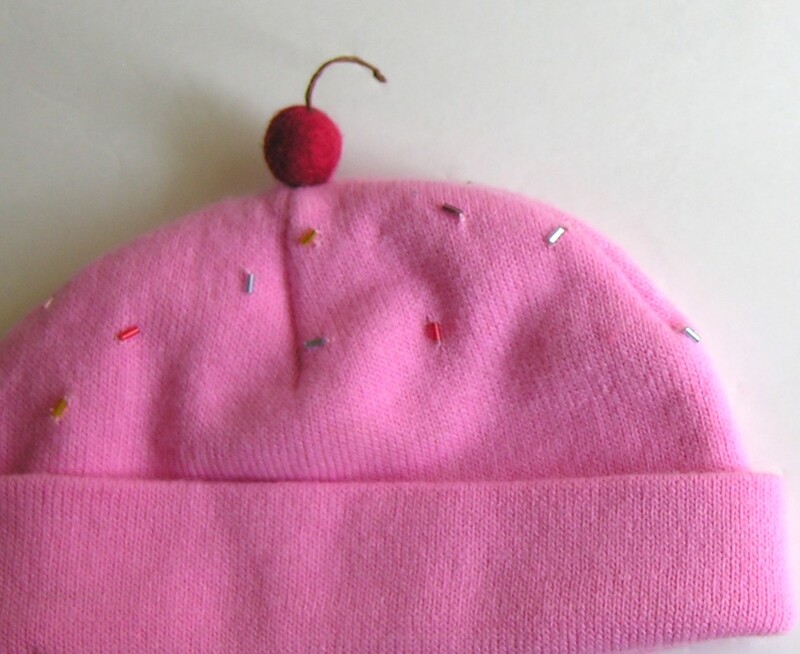 Tack cherry to the top by sewing through the base of the cherry and back through the bottom of the hat since the cherry is placed in the center you can go through both thickesses to help it sit upright without affecting the fit. And there you are with an awesome hat! What do you get for that person who has everything? Who cares as long as it’s topped with one of these! 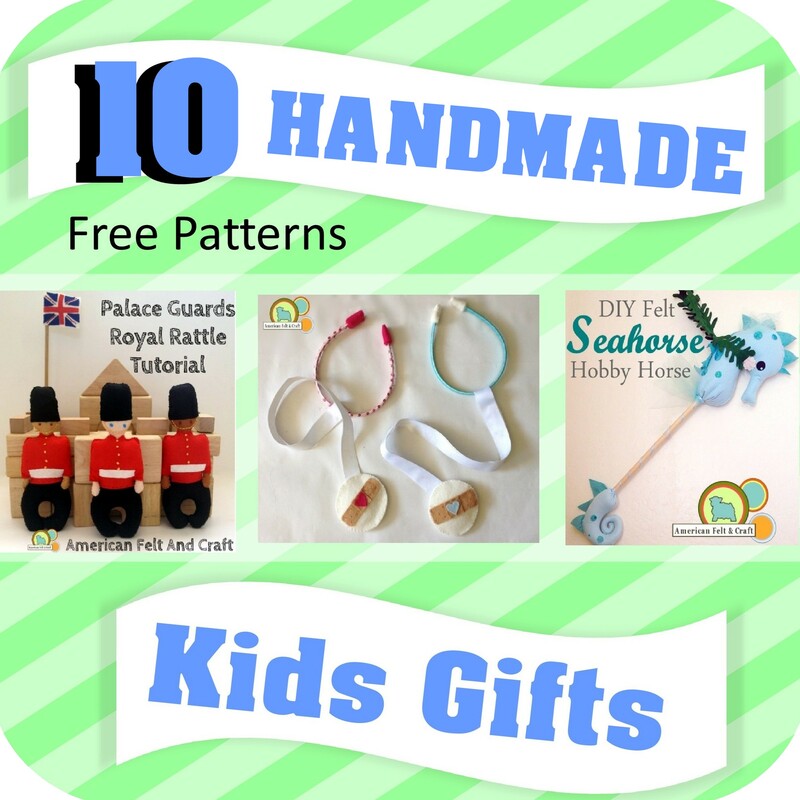 Add some texture to this years gifts with a felt gift bow or just avoid those horrible lines when you run out of the sticky plastic kind, I’m not judging! It’s super easy and can be whipped up in less time than it takes to put on all that winter gear. 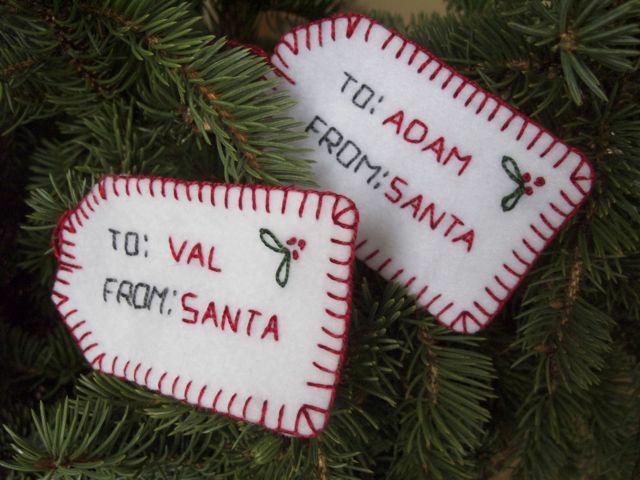 ONLY 1 DAY LEFT, in our Felt Christmas Craft series. Giving a gift card is sometimes necessary but that doesn’t mean it couldn’t benefit from a little crafting magic. 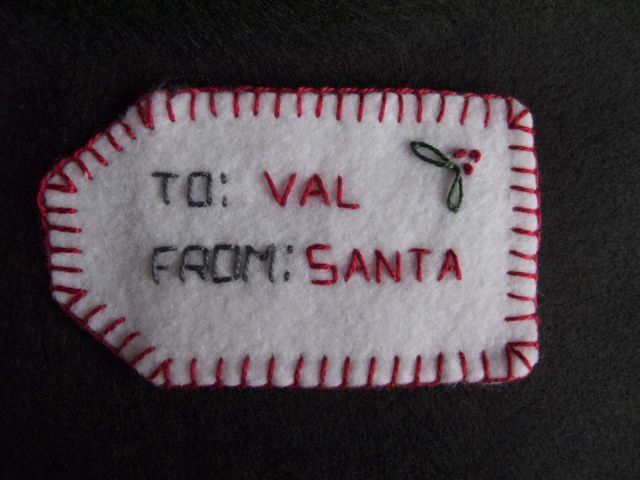 DIY Maven over at Curbly shows you how to make giant gift tags which hide their bounty in a stealthy back pocket. 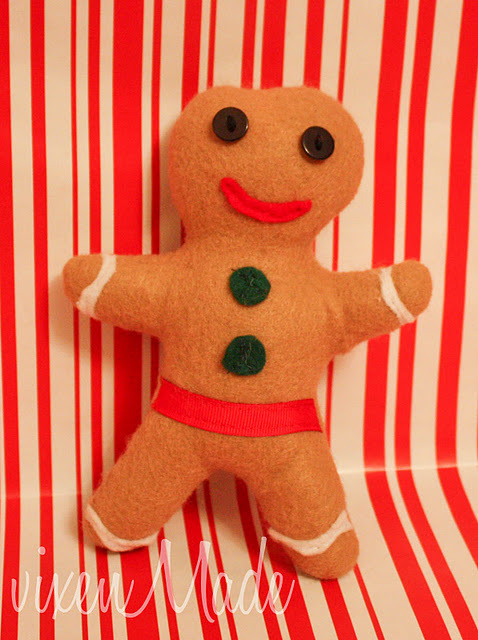 Unleash your inner elf this year and whip up one of these sweeter than sugar felt baby rattles. I love how he looks a little nibbled, who could resist! 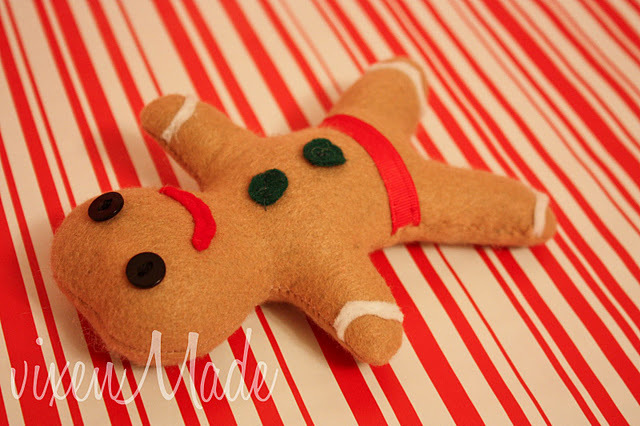 These easy to make felt baby rattles were created by Victoria of vixenMade. LOVE IT! *A lot of you have asked about where you can find crinkle plastic used in baby toys. I am working on tracking down the real baby safe stuff, I’ll let you know when I find a supplier!